In the year 2015, the Supreme Court of India in a hearing declared that poker, card games and online rummy as games of skill. And these games were not considered as illegal in the country. However, the states were given the right to keep this own stand on it. States were allowed to pass the laws regulating gambling and betting. The government of Orissa and Assam took their stand on the game, according to the Assam Game and Betting Act, 1970, the state prohibits the games that have money stakes and exception was created for the games of skill. The same is true with Orissa as well; they have the Gambling Act, 1955 for the same. Though, even after the Supreme Court decision to declare poker and other card games as skilled game, police restrain users from playing this on a regular all over the country. And this is because of the confusion about the law. 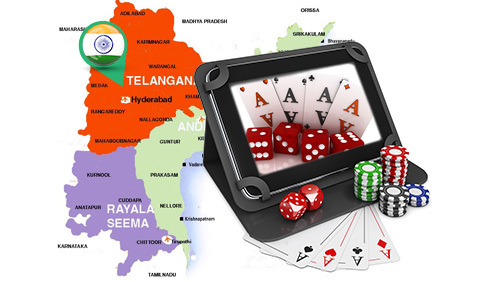 Nevertheless, if the ordinance Telangana is passed, it could affect various operators like Ace2Three, Adda52, Octro, Zynga, Mango Games, Zapak and Miniclip. All these operators are providing their services in the state.